The production company behind a hit Channel 5 documentary series has donated £20,000 to a local charity which cares for terminally ill children. Knickerbockerglory TV, which has produced six series’ of popular show GPs: Behind Closed Doors, selected Bristol-based charity Jessie May as one of its nominated charities to receive a £20,000 donation. 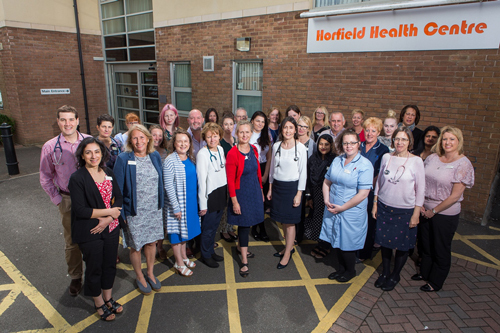 The series is currently being filmed at Horfield Health Centre and offers a fascinating observational insight into the private world of a GP surgery. Dr Anna Graham, who features on the show is also a trustee of Jessie May and put the charity forward for consideration. She said: “Knickerbockerglory TV select a handful of charities every year to donate some of their profits to. They ask staff and associates to nominate and vote for special causes and I’m absolutely delighted that this year Jessie May was one of the charities selected following my recommendation. I wanted to put forward a small Bristol charity which does great work in the community and Jessie May was the perfect example. “This kind of donation will make a huge impact to the lives of the families Jessie May helps. It means that the charity can plan ahead and ensure that terminally ill children who aren’t being supported by its specialist nurses can benefit from its services as soon as possible following referral. Jessie May doesn’t run a waiting list and donations like this mean they won’t have to. Jessie May was set up by the parents of Jessica May Purrington, a little girl who died at home aged four months, surrounded by her family and her nurses. Jessie May has a team of dedicated nurses who provide care to children and families during a child’s life and after their death. It costs around £1,400,000 to provide this care yearly to families in Bristol, Bath, South Gloucestershire, North Somerset and Wiltshire. Jonathan Stadlen, managing director of Knickerbockerglory TV, said: “We are thrilled to be able to support such a worthwhile charity as Jessie May. Knickerbockerglory is an independent production company. 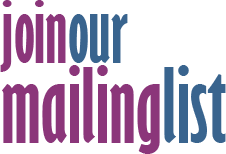 When we launched in 2011 we had the aim of making shows we love, sharing our profits and giving to charity.